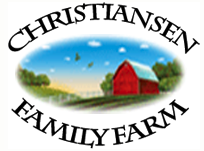 Fairfield Inn Farms offers a variety of hard to find produces. We have cold storage onsite. Which keeps the produce at peak freshness. We practices organic principles and use drip irrigation to conserve or water. Our program starts in June and ends in October. Will be one grocery bag of produce (2-6) items or more. The amount of produce will reflect market prices estimates. We offer weekly or bi-weekly program. Cost per share is $25.00 per week. Or Salt Lake City location. Days of Delivery and pick up are Tues and Wednesday.